Bo Zhu is a senior researcher at AIR, with extensive experiences with educator effectiveness projects and student outcome analysis at both state and district levels. At AIR, she contributes to the design and implementation of program evaluations and research studies, and develops quantitative data-collection instruments such as surveys. She also conducts both descriptive and inferential statistical analysis using Stata and SPSS. Currently she is leading the survey analysis and student impact analysis for the Mississippi Leadership Excellence for Acceleration in Development Schools and Illinois Partnerships Advancing Rigorous Training Partner projects, and is the quantitative analyst for the New Teacher Project’s Teacher Effectiveness and Certification Initiative Analysis, primarily managing student and teacher data and conducting propensity score matching on student data using Stata. She also leads a team of researchers in developing the statewide educator surveys, analyzes and synthesizes survey data to present outcomes and findings in the comprehensive survey reports for Washington Teacher and Principal Evaluation Project. 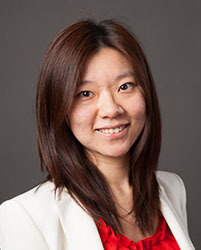 Prior to her work at AIR, Zhu earned her Master’s degree in International Education Policy at the Harvard Graduate School of Education, where she gained experience in quantitative methodologies in statistics and program evaluation.